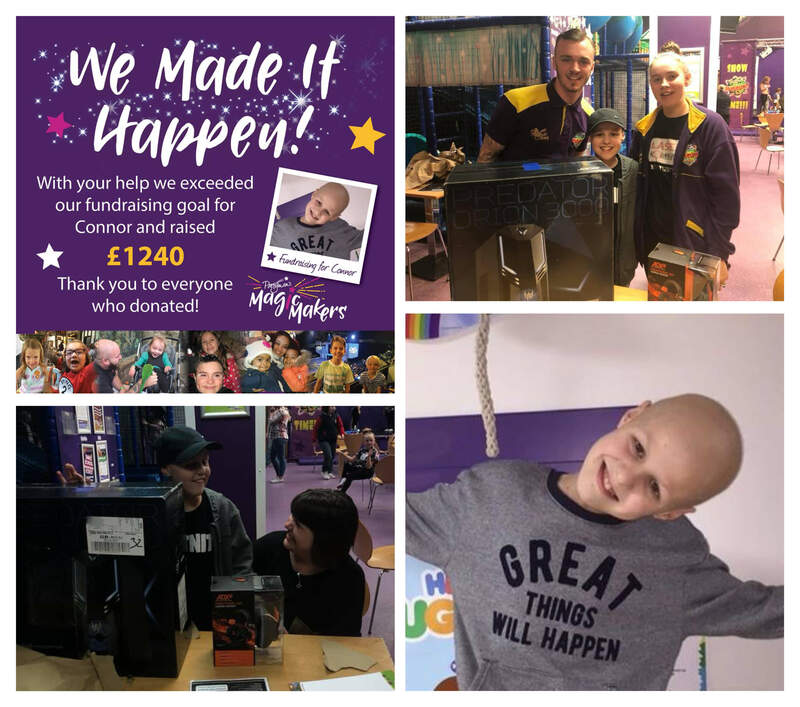 Partyman’s Magic Makers carried out a challenge to raise as much money as possible for an extremely brave 12 year old boy named Connor. Having suffered a cancer so rare that it does not have a name for three years, his family need to raise £200k to get him abroad for treatment. However, knowing Connor’s love of gaming, we were aiming to raise at least £799 to purchase a gaming PC for him to enjoy. Partyman World of Play hosted fundraising events across their different venues and, with the help of their customers, managed to raise an impressive £1240! We were delighted to smash our target and the surplus £441 was donated to Connor’s Gofundme page.